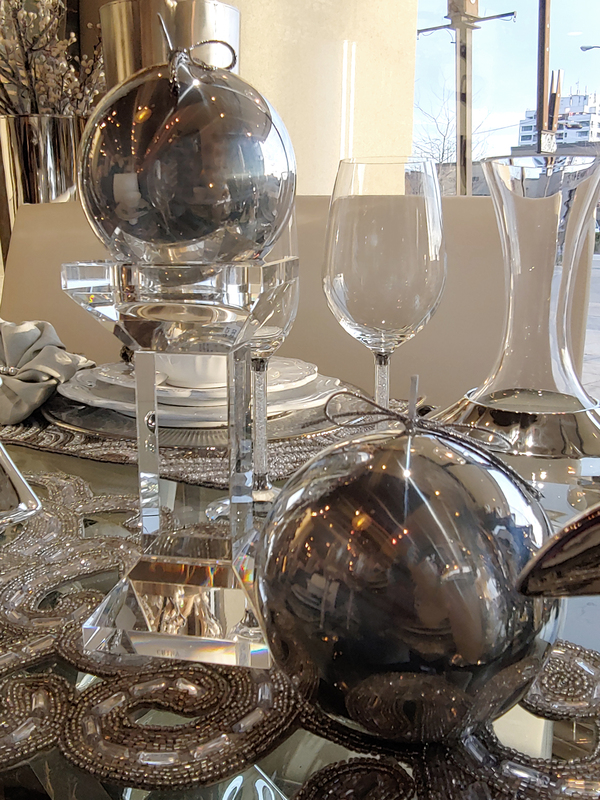 Our Sip, Socialize, Shop wine tasting event could be the first of many holiday parties you will be invited to and it could be a perfect time to capture a collection of classy hostess gifts to show up with at your list of holiday engagements. T’is the season of giving after all. Don’t find yourself scrambling the day of. Think ahead and have something unique on hand. The stunning package becomes part of the gift and the spirit of the holidays doesn’t stop there. Inside is an exquisite scented candle. The fun part is selecting which one to give. 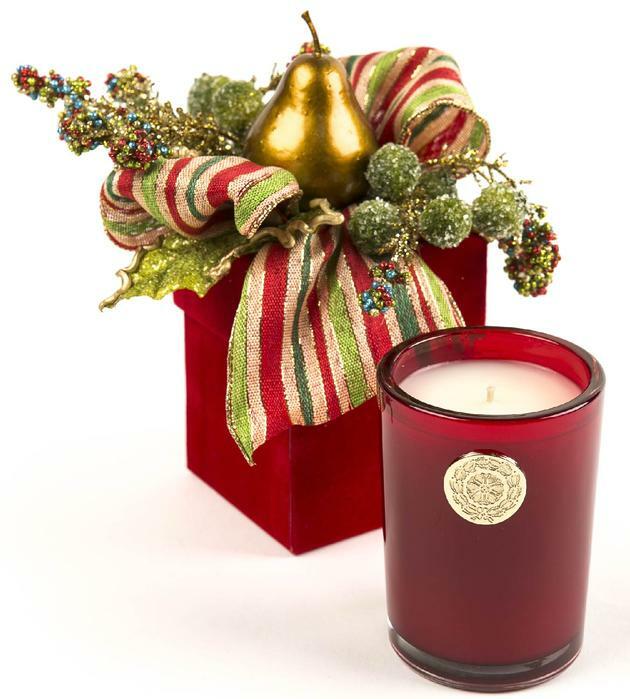 There are several different gift boxes each decorated tastefully with festive ribbon, and special holiday sprigs and details and then a scent inside to match. The one pictured above is a delectable melange of sugared pear and mimosa and the one below is a blend of spicy cinnamon, orange, vanilla and aromatic Balsam. Yumm! Makes you want to enjoy the aromas in person doesn’t it? 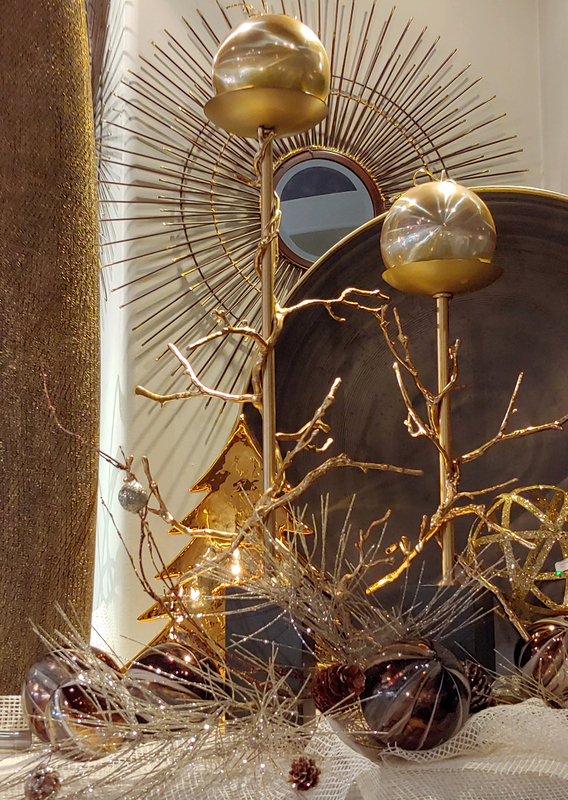 While we are talking candles, we couldn’t miss out on sharing these ball candles in silver and gold. You will have to look closely to even realize they are a candle. At first glance they look like a gorgeous reflective christmas ball. 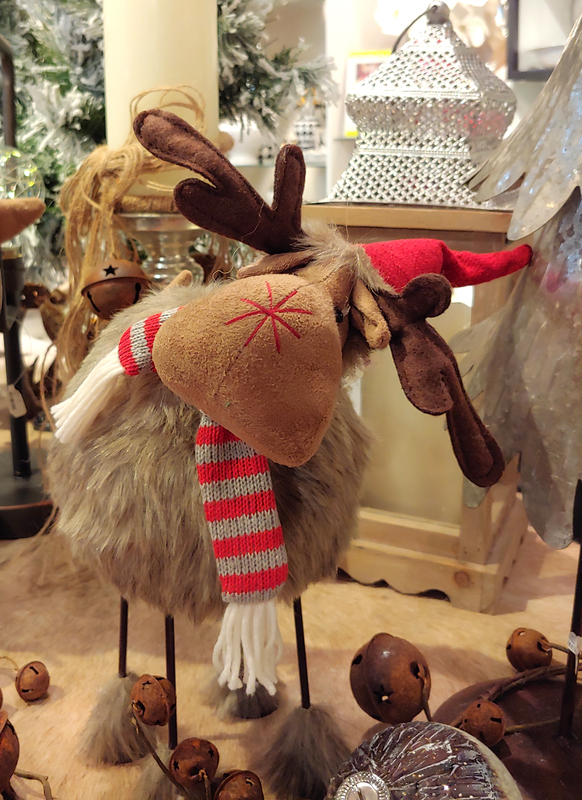 You may have trouble parting with these as they would be a stunning addition to your Christmas decor too. 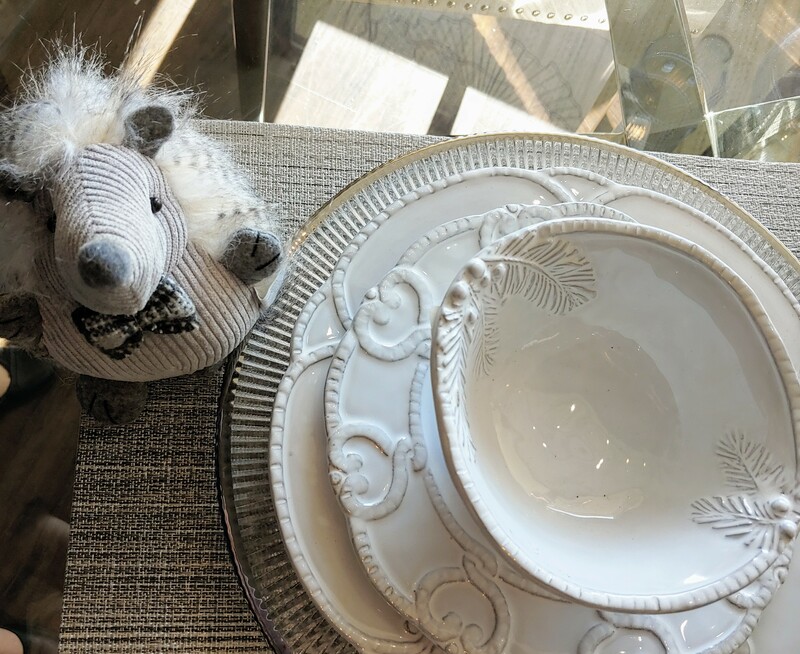 For your more lighthearted friends, or perhaps gatherings where there are kids, or kids at heart, these little holiday critters guarantee to bring smiles. Let’s face it the holidays can be stressful at times so there is nothing wrong with lightening things up a bit. 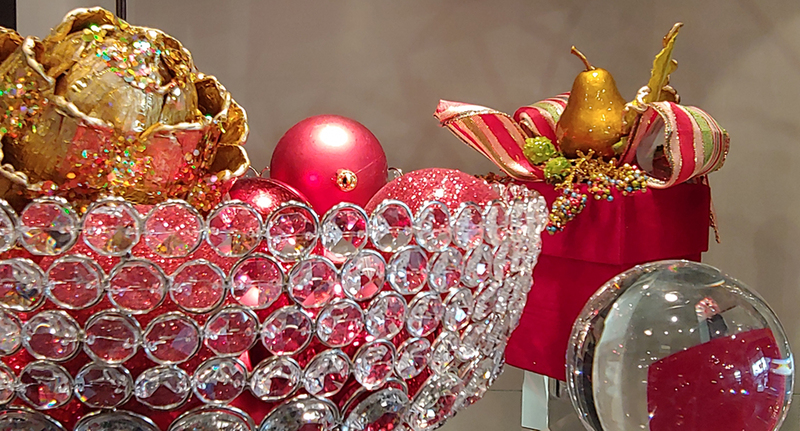 You can’t go wrong with sparkles at this time of year. 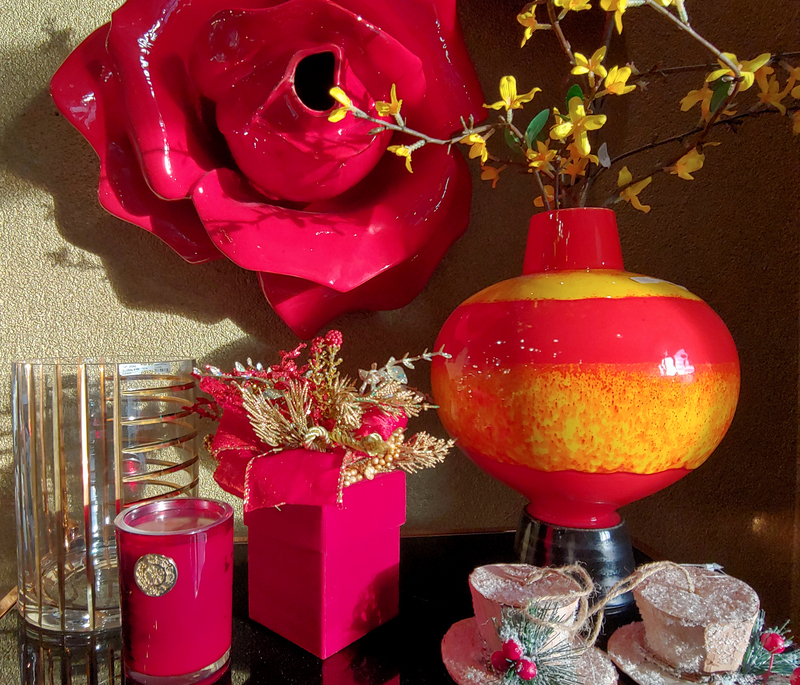 If you walk into Modern Accents you will have a plethora of choices. Sure still take that bottle of wine, but pair it with something special and that is uniquely from you. 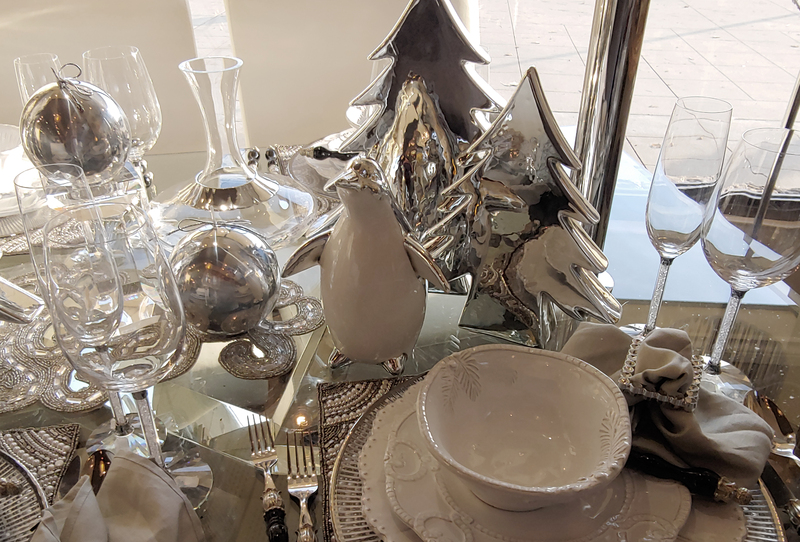 The wine and champagne glasses adorning this winter wonderland tablescape capture the sparkle of fresh snow in their stems with tiny crystals. A magical gift for sure. If you are stuck for what wine to gift this season there will be some great choices from 50th Parallel Estate Winery at our Wine Tasting Event on November 20th. Click here for more details and ticket information. Speaking of gifts that sparkle, there is plenty of them next door at International Gems for those really special people in your lives. We look forward to kicking off the holiday season with you!